However, if you really need first aid, charcoal is something you need to have on you all the time. You might not know this but it is one of the most medicinal products you can have at home due to its poison extraction ability. In case you never gave it much attention, this is the time to do so. 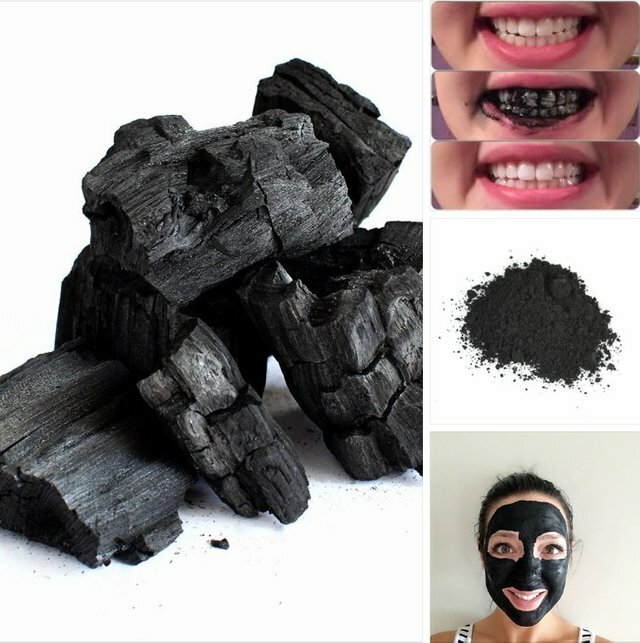 Here are 13 benefits of charcoal you never thought about. Does your shoe smell bad? Just get some charcoal & put it in them. Do you have any bad smell in your room? Drop some charcoal where you suspect the smell could be coming from. Does your fridge or freezer smell? Put a piece of charcoal in it. Do you have strong body odour? Just make a powder out of charcoal & use. If you want your vegetables to be fresh all the time, just make a solution out of charcoal & leave your vegetables in them. Thank us later. These days, people complain about the use of fertilizers on plants & vegetables, making them unwholesome & poisonous. If you have charcoal, you don’t need to worry about this. All you need to do is leave the vegetables in a charcoal solution overnight & it’ll take care of the toxins. If you suspect any food contains too many chemicals, just drop them in a charcoal solution for some hours & you’re good to go. If you want to whiten your teeth, pay no attention to all these adverts on whitening chemicals & technology. Just get yourself some charcoal & grab hold of a plantain stalk. Make a powder out of the charcoal, mash the tip of the plantain stalk, dip it into the charcoal powder & brush your teeth with it for a week. Did your groundnut soup or palm nut soup go bad? No need to worry about pouring it all away. Just put it back on fire & drop a piece of charcoal in it. This will extract all the bad taste & smell & restore the soup to its fresh state. If you mistakenly did some wild mixing & feel it can knock you out, just add some charcoal to the mixture & your problem is solved. Do you have a situation where someone’s wound has become so infected to the state doctors are saying they have to cut the affected area? Don’t stress over it, get a large amount of charcoal powder & pour it on the wound. This will extract all the poison from the wound & also help it heal faster. If you have a cut & you want to treat it fast, just get some powdered charcoal & pour on it. Do you feel your water is contaminated? You don’t need all these products on the market. Charcoal can do better, just drop some amount of it in it. Don’t worry about the colour, it is safe, you can even chew on charcoal. It is far safer than eating chicken from KFC. Do you have pimples, acne or any skin disease you really want to get rid of or do you want a very smooth face or skin? All you need is charcoal. Make a thick solution out of it & smear it on your body & leave it on for some hours before taking your bath. It will leave your skin smooth & fresh.